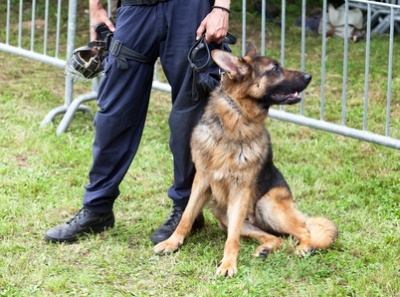 ExcluSec deploys general purpose, drugs and explosive security dog handlers to meet your business requirements, whether protecting their handler from intruders, guarding premises, searching persons entering your building, or searching high-risk areas for hidden explosives. 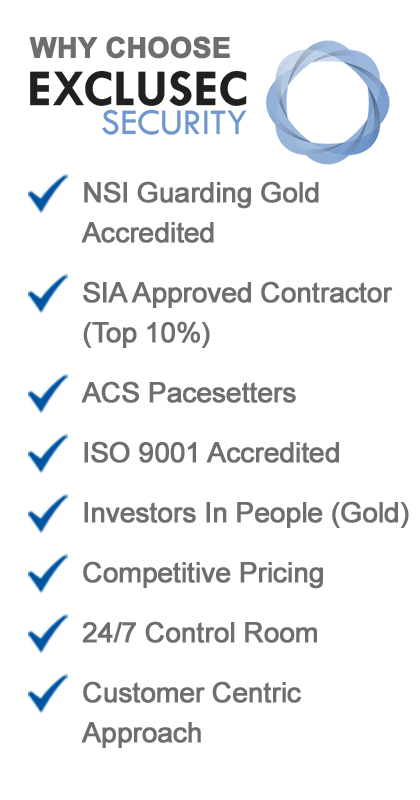 Our committed security dog handlers can provide greater flexibility than two security officers, has a greater ability to detect and deter trespassers, and is a proven deterrent and protective measure, and is a cost-effective resource. 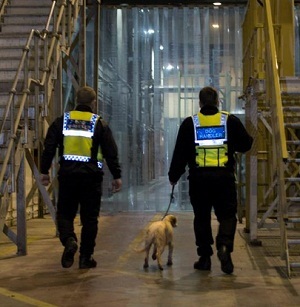 Explosives and drugs detection dogs are now being deployed extensively throughout the UK, where a cost-effective, flexible and highly reliable indicator of contraband is required. ExcluSec provide dog handlers for a variety of tasks throughout Greater Manchester, North West and the UK. Our dog handlers can be deployed as a single service or utilised in conjunction with our range of services. We are members of the National Association of Security Dog Users (NASDU) who promote Welfare, Standards, Training and Education within the Security Dog Sector. 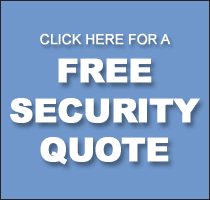 If you would like to discuss your Canine Security requirements further, call 0333 344 3991 or submit our online enquiry form.